The Smyrna Village Players presents “Anything Goes,” a hilarious shipboard romp filled with music and dance wrapped in one of Cole Porter’s most magical scores as its summer production. Smyrna Village Players is an outreach of Smyrna First United Methodist Church and the local Methodist community. Proceeds from this year’s production will support Murphy-Harpst Children’s Center. The show will run in the Fellowship Hall of Smyrna First United Methodist Church 1315 Concord Road, Smyrna. July 19, 20, 21 at 7 p.m. and at 2 p.m. on July 21. Tickets are $15 for adults and $12 for students under 18 and seniors 65 and older. Visit smyrnavillageplayers.com to purchase tickets. From left are “Renos’ Angels” Katherine Francois, Bella Stoichev, Megan Bunkley, Hannah Wildes, Grace Regan, Kay Bolick and Kaitlynn Rivas. 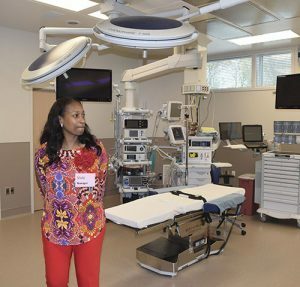 The final piece of the new WellStar Vinings Health Park fell into place with the opening of the Outpatient Surgery Center in April. The 20,000 sq. foot surgery center includes 17 private prep and recovery rooms, three operating rooms and three procedure rooms. The new center will also provide onsite treatment and testing, pharmacy and pathology support and a private patient discharge elevator. “Tonight is special because it another event in the yearlong celebration of the 50th anniversary of Cobb Hospital allowing us to serve our community closer to home,” said Callie Andrews, President of WellStar Cobb Hospital. The Vinings location opened in September of 2017 as the third Health Park in Cobb. A fourth will open in Cherokee County in February. The addition will create 25 new jobs, increasing the total employment at the Vinings Health Park to more than 175 team members. Campbell High School opened the school year with some 2,957 students enrolled, making it the largest high school in Cobb County. “We are bursting at the seams,” said Principal Jeannie Walker. Rooms that had been converted from classrooms to other purposes have been reconfigured as classroom space to accommodate new staff, she said. With some no-shows after the first day’s count, the student population is at 2,800 “but that continues to grow, and will do so again after Labor Day,” a school spokesman said. Campbell had 2,664 enrolled in March, and by August 1 had increased nearly 10 percent. North Cobb was the largest school in Cobb in March’s count with 2,851. “We’ve got more bodies crammed into the same space,” she added. The classrooms were built in the 1960s and are not as adaptable as newer construction. Campbell has added 6.5 new teaching positions for the upcoming year and has 38 new employees. “The Spartan staff is strong and keeps appositive attitude” she said. “Campbell High School exceeded the previous year’s performance in all areas on the end of course test last year,” said Walker. Not only did they have the highest SAT, ACT & CCRPI gains for 2016, they achieved a 93 percent IB diploma rate and 92 percent of the seniors enrolled in 2017 graduated on time.” Other notable Campbell accomplishments are listed on page 9 of this issue. 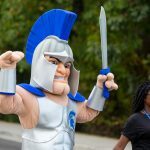 Other changes coming to the school include a new football coach who arrived in the spring and will lead the Spartans on the field this fall. Kyle Adkins comes from Pope High school. His wife April is also a teacher at Campbell. Parking space will also be an issue this school year as construction of a new gymnasium has removed a parking lot in front of the Nash Gym. It is expected to open in January. The reduction in parking will be felt during sporting events and open houses and only seniors will be allowed to park on campus. 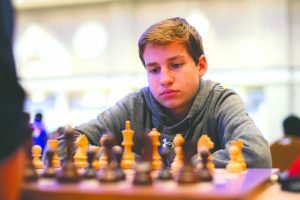 From the August 2017 issue of The Bright Side, Cobb County Georgia’s Newspaper covering Smyrna, Vinings, Mableton, Powder Springs and Austell, GA. 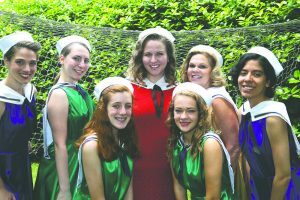 The annual Mableton Day celebration is set for May 13 at the Mable House Amphitheatre complex. The day kicks off for the Mableton Day 5K & Kid’s Fun Run at 8 a.m. Following the 5K race is the Mableton Jr. 1-mile Fun Run. The day’s festivities continue through 4 p.m.
Entertainment for Mableton Day is full of experienced professional, local and new entertainment, school performances, and special guests. The schedule includes a Salute to the Armed Forces, local awards, and ends with the Community Spirit Awards and Trophy ceremony. Past Mableton Day crowds have enjoyed live bands, cheerleaders, solo performances, Chinese dancers, cloggers, ballet, and melodies of jazz, contemporary, hip hop, country, blues and much more. Whether jumping on inflatables, testing fitness through hoops, learning safety tips, playing old fashioned games, creating pieces of art work, or just relaxing, the Kids Corner is a fun place for children to play and learn. Demonstrations by accomplished artists will be presented throughout the day. You can watch a potter turn clay into a cup or bowl. See a landscape emerge from watercolors or charcoal pencils. The artists are happy to talk about their art with visitors. The 8th Annual Mableton Day Car Cruise-In features classic cars from 10 a.m. to 2 p.m. There is registration fee. However, registration is still required, either before the event or on Mableton Day, if space is still available. This show is for fun for everyone with an emphasis on exposing our youth to American automotive history. For more information on any of these events, email admin@mabletonday.com or call Albert at 678-524-9026. From the May 2017 issue of The Bright Side, Cobb County Georgia’s Newspaper covering Smyrna, Vinings, Mableton, Powder Springs and Austell, GA. The season is set for the 2017 Candlelite Concerts, presented by the South Cobb Arts Alliance at the Mable House Barnes Amphitheatre. Admission is free with plenty of covered seating and room on the lawn, too. Pack a picnic dinner and enjoy an evening of music in one of the best outdoor venues in the metro area. Tables that seat six people are now on sale for $216 for the entire season or $60 for a single concert. (Sorry, no refunds.) Parking is free for all attendees. Gates open at 7 p.m.; performances begin at 8 p.m.
May 20 – Domino, the Van Morrison tribute band. June 17 – Peter Karp and the Roadshow Band, American blues. Aug. 19 – Soulhound, groove-oriented R&B, soul and greasy funk of the late sixties and seventies. Sept. 16 – Red Head Diamond, smooth California-style 70’s rock, such as Linda Ronstadt’s greatest hits, as well as favorites by Fleetwood Mac. 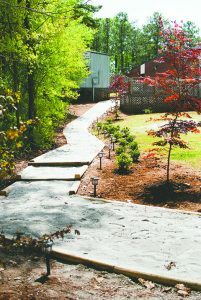 The Amphitheatre is located at 5239 Floyd Road, Mableton. Call 770-819-3285 with any questions or to reserve a table today! 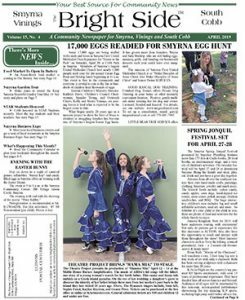 From the April 2017 issue of The Bright Side, Cobb County Georgia’s Newspaper covering Smyrna, Vinings, Mableton, Powder Springs and Austell, GA.
Want to deepen your Easter Sunday experience this year? Rewind to Good Friday and gather with folks from across our community for the annual Seven Last Words service at Austell Presbyterian Church. Seven local pastors will share their insights on the last seven words spoken from the cross. This year they include Rev. Michael Martin (Austell First United Methodist), Rev. Clarence Ellerbee (Causey Chapel Baptist Church),Tim Ridgeway (Austell First Baptist), and Rev. 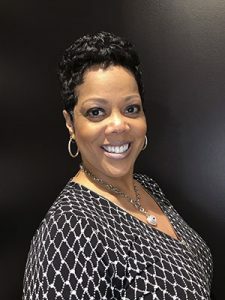 Tracy Carter (Bethsaida Baptist Church). Also preaching will be Rev. Debra Stewart (Smith Chapel United Methodist), Rev. Malcom Lewis (Beacon Hill Baptist Church) and Rev. Spencer Haygood (Orange Hill Baptist Church). It begins at 12 noon and continues until 3 p.m. on April 14. This special service (presented in partnership with Sweetwater Mission), is designed so you may come and go or stay for the entire three hours. Austell Presbyterian Church is located at 5895 Love St. in Austell. Call 770-948-2822 for more information.